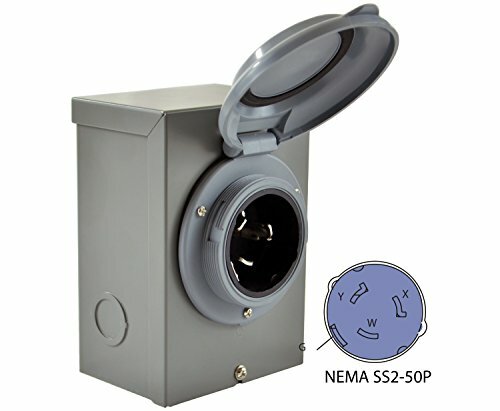 50 Amp 125/250 Volt CS6365 Pin style power inlet box is designed for outdoor use and can be hardwired directly to transfer switches or panels. 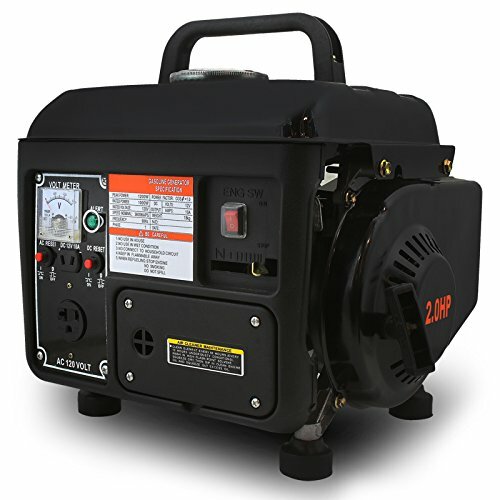 This rain-tight, rust-proof perfect with Conntek CS6364 Generator Power Cords. 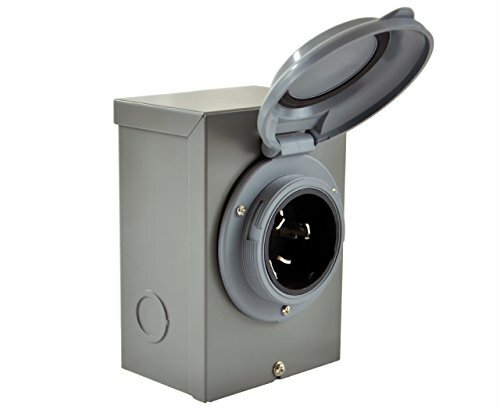 This Power inlet box includes an CS6365 Pin inlet plug, six knockout holes and push-in wire connections. 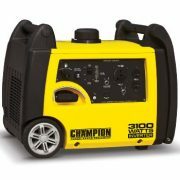 Using one of the four combination 1/2-inch and 3/4-inch knockouts (one on each side, bottom and back), the power inlet box can be wired directly to the transfer switch or panel. The exclusive design provides generous wiring space and facilitates rough-in. 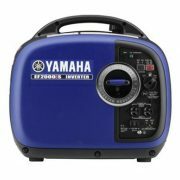 The face of the box is removable for easy placement and wiring. 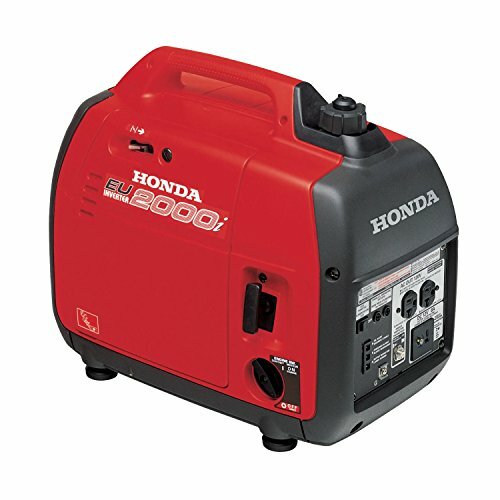 It is cull listed and covered by a 5-year warranty.